Mahendra Singh Dhoni smashed 16 runs off 4 deliveries against Sri Lanka to win the final of the Tri-series that was hosted by West Indies in 2013. Three years down the line, West Indies are again on the verge of laying on another Tri-series, with Australia and South Africa being the other two teams. As has been the case with some teams, West Indies will play it's first ODI series in this T20-dominated year. West Indies and South Africa will lock horns in Guyana for the first match of this Tri-series. The home team has, as usual, a lot to prove. There were speculations regarding the selection of the team. Stars in Chris Gayle, Darren Sammy, Dwayne Bravo and Andre Russell were not included in the squad. The reason being that the quadruplet did not feature in the nation's domestic 50-overs competition. However, Sunil Narine and Kieron Pollard were incorporated in the side despite not playing that tournament. Jason Holder will be back in action as far as international cricket is concerned. West Indies will count on an attacking opening pair in Andre Fletcher and Johnson Charles. At No. 3, will be the ever-so-reliable Darren Bravo. Bravo is best suited for that position because he possesses the qualities of being a perfect No. 3. 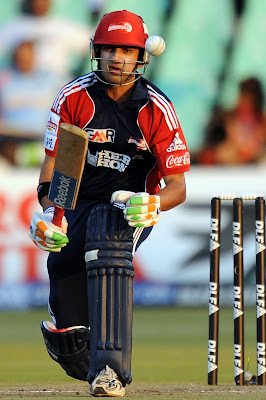 The 27-year old left-hand batsman can defend as well as attack in the given situation. Marlon Samuels proved his real worth yet again with a 66-ball 85* in the final of the ICC World Twenty20 held earlier this year. Someone of his experience will be crucial to this team. Jonathan Carter and Denesh Ramdin will complete the middle order. Kieron Pollard and Carlos Brathwaite will hold the key with their three-piece abilities. Apart from their attacking style of batsmanship and streetwise bowling, the duo will come good in the field as well. Both have had a run-of-the-mill IPL season, via this series they would want fans to restore faith in them. Jason Holder, the captain of the side, will most likely share the new ball with Jerome Taylor. The fact that Holder can bat down the order adds more insight to the batting line-up. Sunil Narine would like to bring his IPL form to the international arena as well. The only major change in the South African team would be the inclusion of Rilee Rossouw in place of injured Faf du Plessis. The tried and tested pair of Hashim Amla and Quinton de Kock will open the innings. Rossouw will directly swap places with du Plessis at No. 3. The skipper, AB de Villiers will add more might to this batting order. JP Duminy and Farhaan Behardien will carry forward the momentum in the middle over before passing over the reigns to Chris Morris, who has had a fantastic IPL with both bat and the ball. Morne Morkel will lead the pace attack in the absence of Dale Steyn. Kagiso Rabada and Kyle Abbott will form part of that attack. 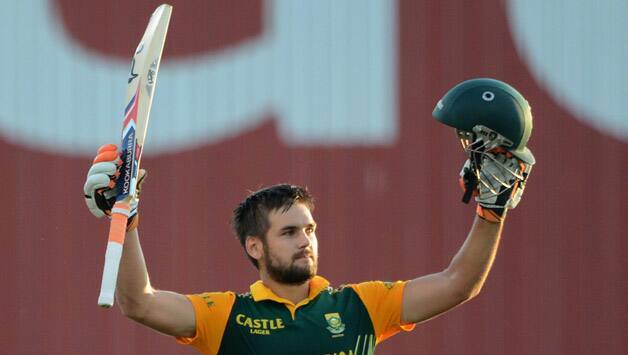 Perhaps, Wayne Parnell will be given a go at some point in the series. They might also consider playing Aaron Phangiso in place of a seamer. The Proteas have also included uncapped Tabraiz Shamsi in the squad. Shamsi, 26, bowls left-arm chinaman. Jason Holder carried the drinks in the ICC World Twenty20 for West Indies. He played only four matches (out of 14) in the IPL. In a litmus test for West Indies in ODIs, their skipper will be keen to perform for his national side. Rilee Rossouw would be looking to count on this opportunity. One out of Rilee Rossouw and Farhaan Behardien will have to make way for Faf du Plessis, once he is fit. In today's match, both of them would be looking to cement their position in the side.